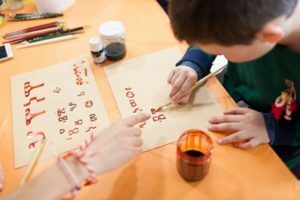 Young museumgoers in Sofia celebrated Bulgaria’s national day, March 3, by going back to the country’s beginnings: they learned how to write in Glagolitic, the early Cyrillic script, dressed dolls in traditional Bulgarian attire they made, and practiced the ancient art of mosaic making. Their creations came to life with the help of multicolored paper, cloth, watercolors, and yarn under the guidance of experienced tutors from the Easyart Bulgaria foundation. In five workshops, children of different ages learned about the history of art in Bulgaria and tried their hand at age-old crafts. Easyart staff helped the aspiring craftsmen cut out paper amphorae, color folk costumes, and attempt calligraphy. Due to high demand, the workshops were also held on March 4. 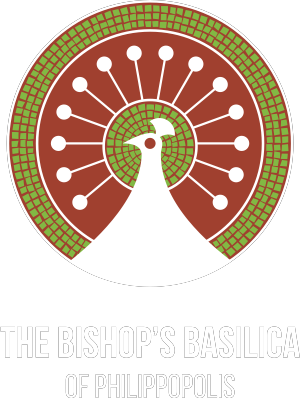 The thematic activities were offered as part of the Bishop’s Basilica display at the National Palace of Culture. The display was in the company of signature collections from more than 40 museums and galleries across Bulgaria. Titled “Salon of the Museums,” the collections presented Bulgaria’s rich cultural and historical heritage. The Bishop’s Basilica was an early Christian temple in Plovdiv whose remains were discovered in the 1980s, but a plan for its restoration was not put in place until the 2010s. Funding from the America for Bulgaria Foundation will ensure that, from 2019, visitors to Plovdiv will enjoy some true masterpieces of mosaic art.